IGTV is Instagram’s, or rather Facebook’s, attempt at competing with the juggernaut that is YouTube. Facebook has been trying to pull Snapchat as it were with YouTube by attempting to offer features similar to that platform on as many of their own platforms as possible, much like they undermined the value of Snapchat’s Story feature by adding it to every platform they had including WhatsApp. However, IGTV has not quite been as successful as other streaming platforms, and so Instagram is planning on pushing it on consumers a bit more in order to potentially entice some new users. Users were already seeing IGTV videos in the Explore tab, but now they are going to be seeing IGTV previews in their main feed as well. 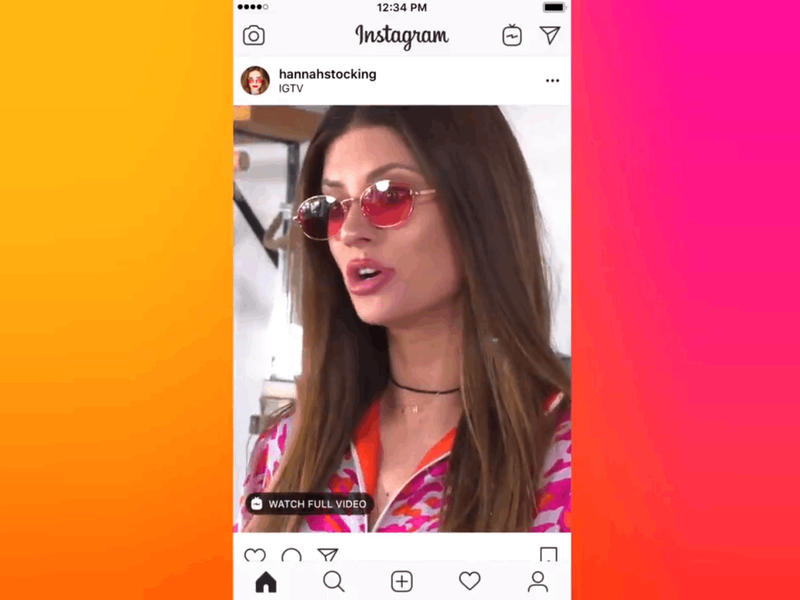 As we reported back in July 2018, these previews are ostensibly meant to give users a glimpse of the sort of experience that IGTV offers in the hopes that some will click to see the full videos and thus be integrated into IGTV’s decidedly distinct user interface where they would then be able to familiarize themselves with what they are trying to do at that point in time. However, the fact of the matter is that IGTV faces certain obstacles that prevent it from being a serious competitor to big streaming platforms like YouTube and Twitch. First of all, the video length limit is something that YouTube did away with years ago, and you need a special account to be able to upload videos that are longer than ten minutes. Furthermore, you can only add vertically recorded videos to IGTV, something that is going to be a problem for serious content creators that might want to be able to upload content with certain stylistic requirements that would be greatly hampered by the limitations of the platform.